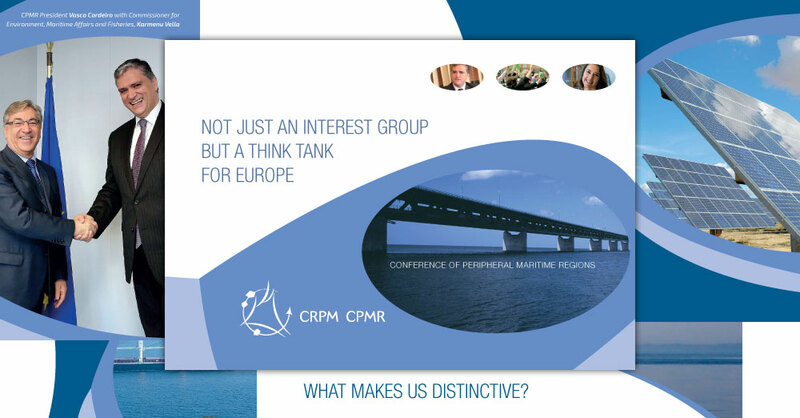 Many years ago, CPMR – the Conference of Peripheral Maritime Regions – asked us to create a corporate brochure in 2 languages and a roller banner. 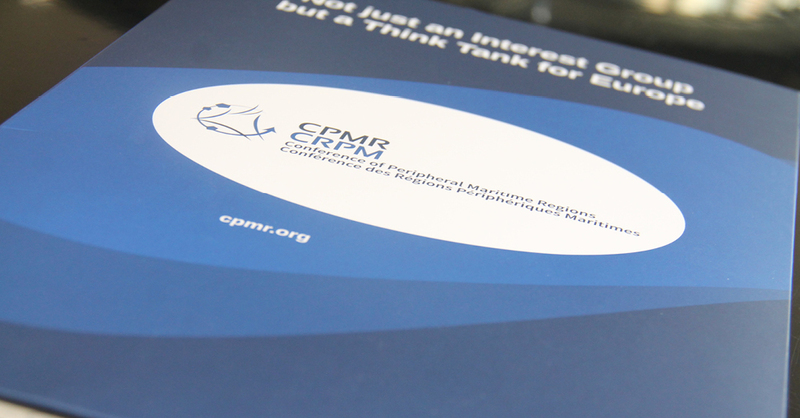 Two years ago we designed their new corporate brochure in 5 languages. 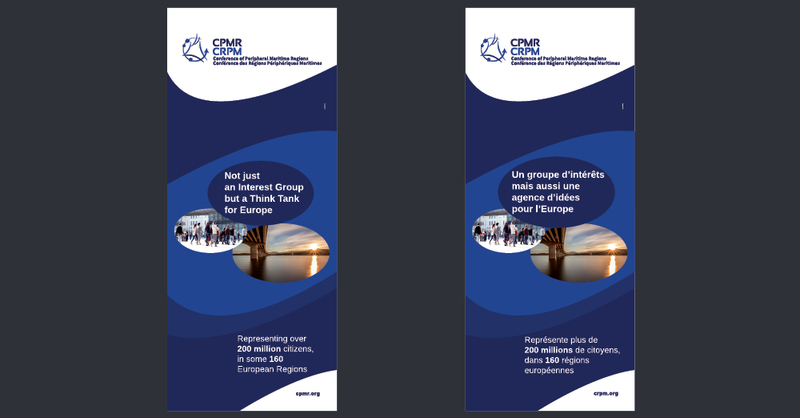 And this year, in September, we designed their new folder with pocket for a map, two roller banners in English and French, one flag, one kakemono. In addition, we also supplied a personalized conference bag. 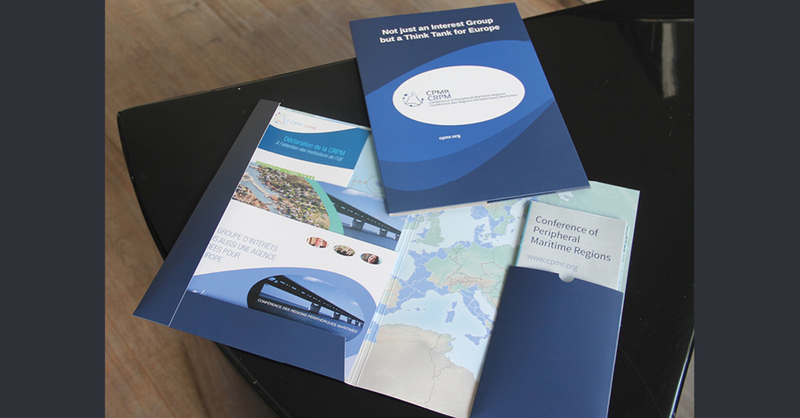 The graphic concept we supplied focussed on the maritime environment to create a unique, pertinent image.